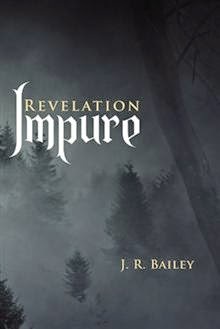 Impure by J.R. Bailey Book Feature – Win a $25 Amazon Gift Card! “As darkness spills down from the north and stains all it touches with sin, a den of vampires known as the Great Citadel reaches out with its snaking hands. A change in the winds is signified by the death of an emperor—and the time for retribution has come. No one desires vengeance more than Koristad Altessor, a young necromancer and son of the legendary Black Guardian. Although it has been nearly twenty years since the Vampire King murdered his father, stole his throne, and then unleashed barbarians upon the defenseless villages of the foothills, Koristad’s thirst to kill the evil king remains unquenched. As he relentlessly searches for the monster and attempts to protect those he loves, Koristad’s own legend begins to take shape. With the powerful Executor Blade in hand, he sets his sights upon the Great Citadel and the Vampire King. But now only time will tell if he is prepared for the terrible secrets he may find there.